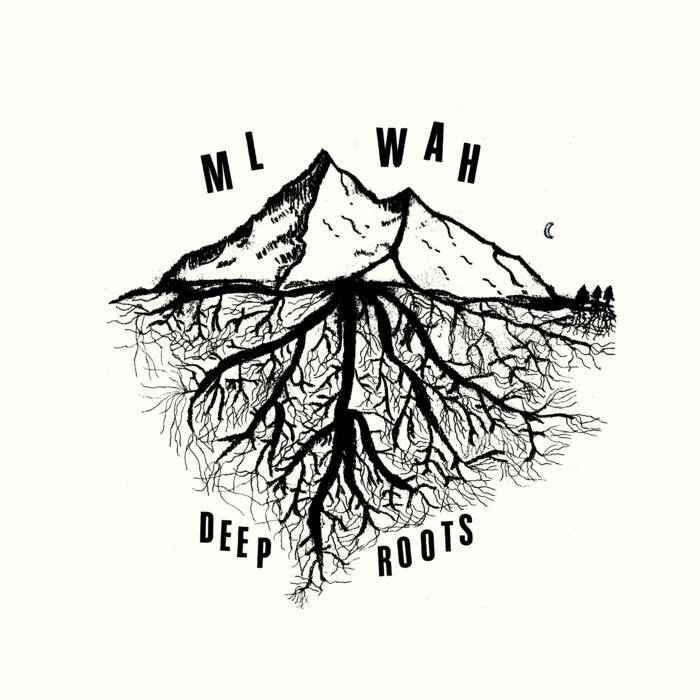 Pre-order of ML WAH - Deep Roots. You get 1 track now (streaming via the free Bandcamp app and also available as a high-quality download in MP3, FLAC and more), plus the complete album the moment it’s released. Limited to 100! Exclusive gold ink silkscreened front cover, hand-painted back cover with tip-on diamond image, and hand-stamped spine on heavy stock reverse board jacket. 12" black vinyl in archival/anti-static rice-paper-style sleeve, with unique 1-of-1 hand-drawn gold ink glyph insert by ML. Includes the exclusive "Heavenly Host" bonus cassette with tip-on cover, two mini sticks of santal incense, and 1" pinback button of the LP cover art. 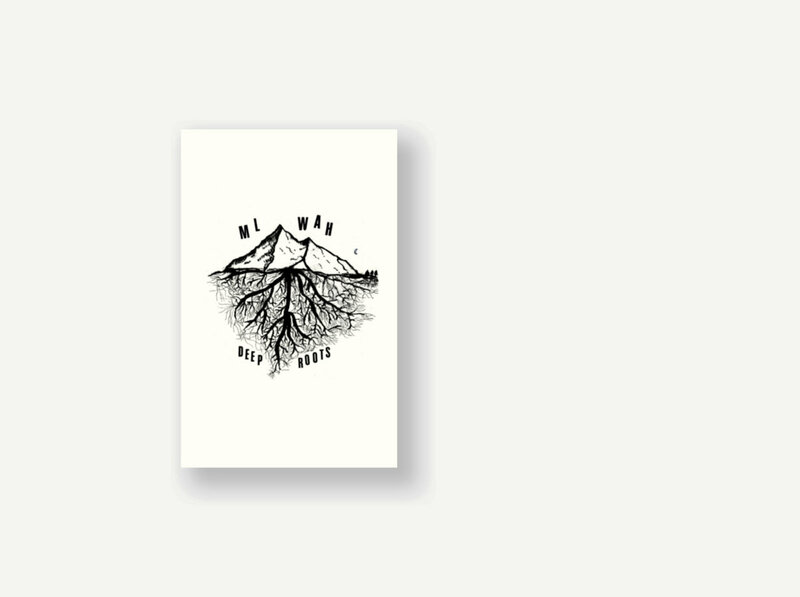 Hand-numbered to 100. Pre-order now; we expect to begin shipping the first week of June! Photos will be added and updated as we near release. 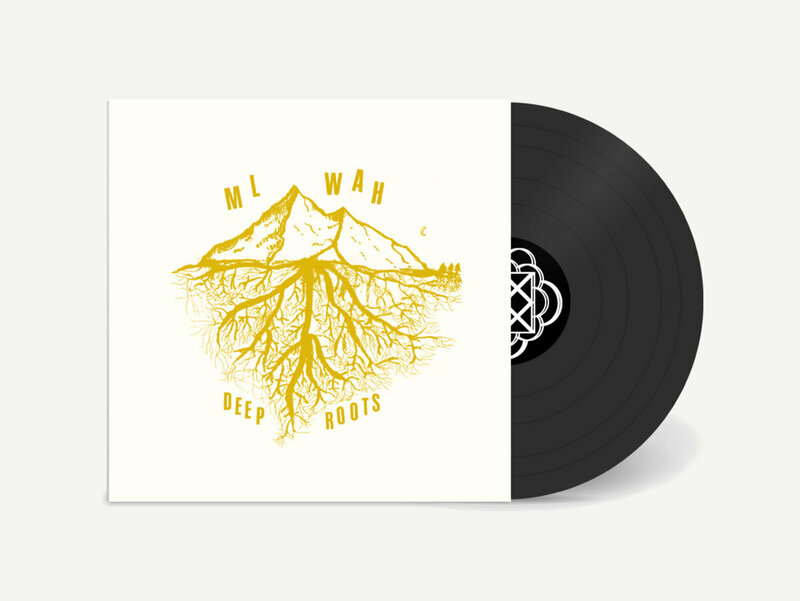 Includes digital pre-order of ML WAH - Deep Roots. You get 1 track now (streaming via the free Bandcamp app and also available as a high-quality download in MP3, FLAC and more), plus the complete album the moment it’s released. Limited to 300. 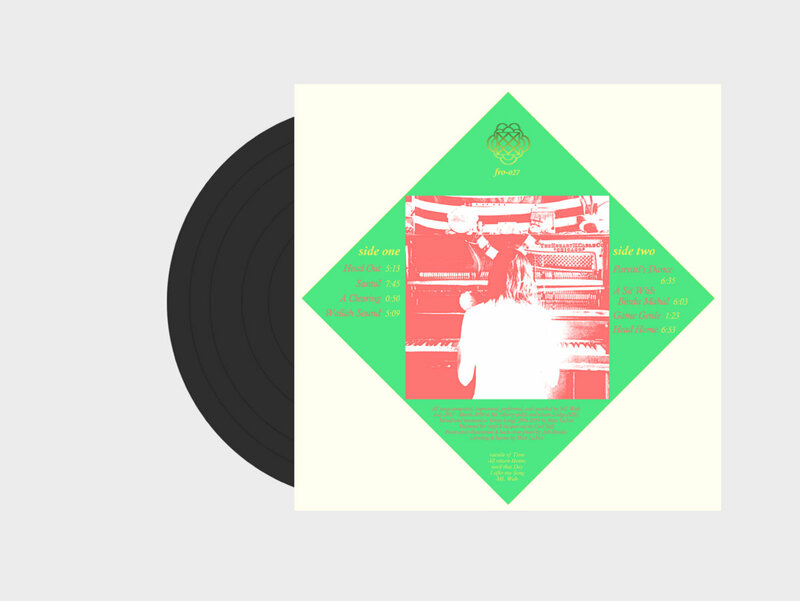 12" black vinyl in archival/anti-static rice-paper-style sleeve, with black ink silkscreened front cover and tip-on diamond back cover image on heavy stock reverse board jacket. 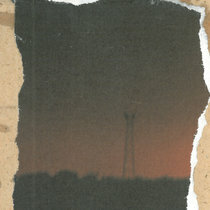 Hand-numbered to 300. Limited to 100! 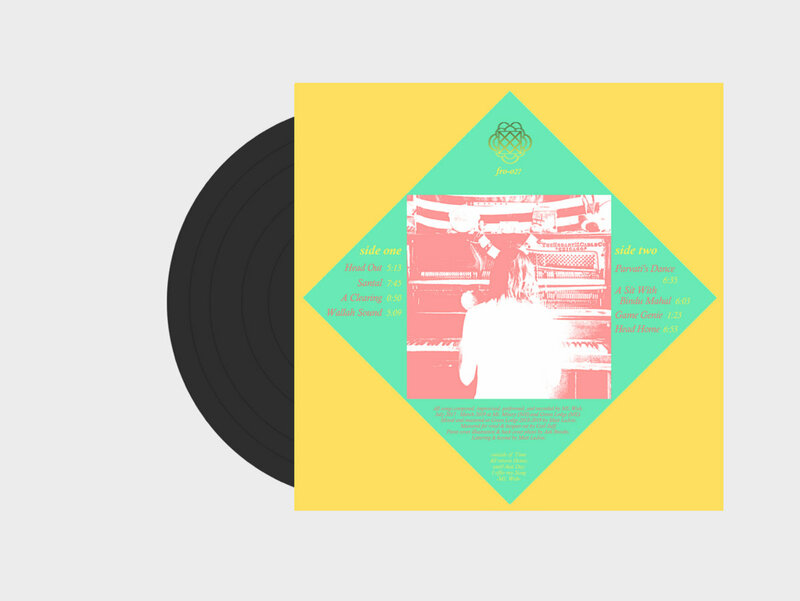 Eco-friendly full-color gatefold digipak. Limited to 50! 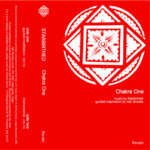 Home-dubbed music grade Type I c42 with rubine red shell, hand-typed A-side label and hand-stamped B-side. 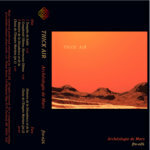 Double-sided wraparound tip-on cover on clear polybox, hand-numbered to 50, with two mini sticks of santal incense and 1" pinback button of the cover art. While supplies last! 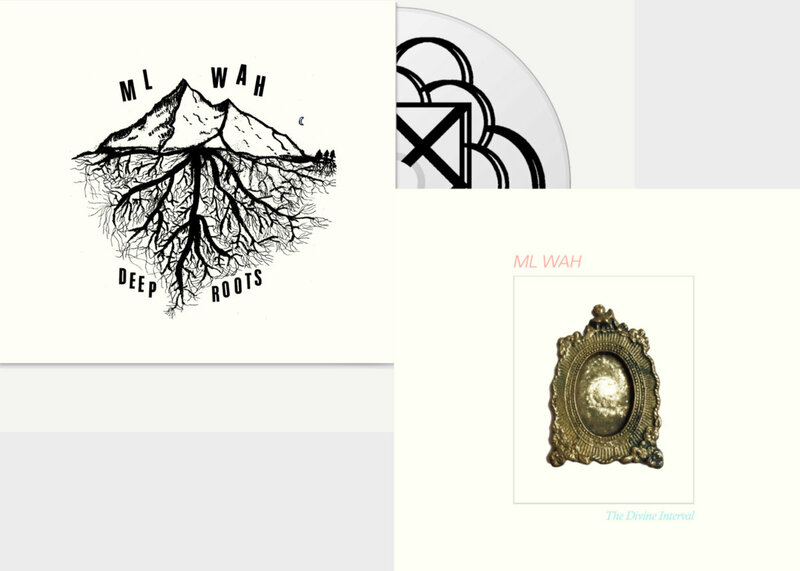 Catch both of Matt's 2019 solo LPs at once. 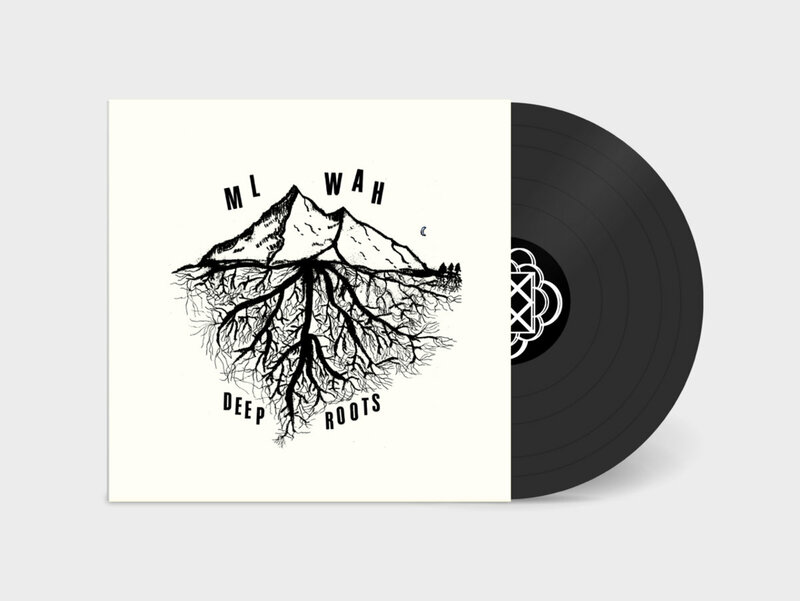 Offer available for both Art Edition (ltd.100) and Standard Limited Edition (ltd.300) vinyl of Deep Roots; if you would like the Art Edition, please set your purchase price at $40. 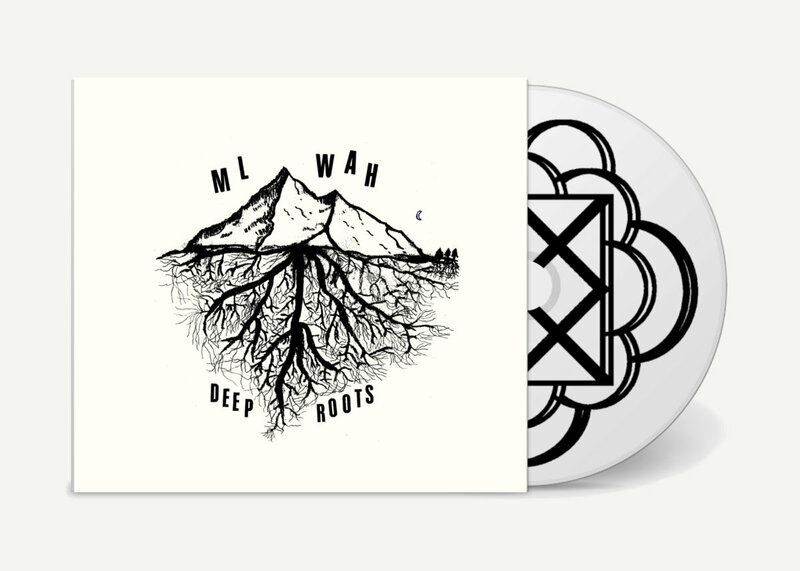 Pre-order now; both LPs will ship together when Deep Roots is ready in late-May / early-June. Get both new ML Wah CD editions with a bundle discount! Includes the limited edition Deep Roots CD as well as the reissue of out-of-print cassette The Divine Interval on CD for the first time! 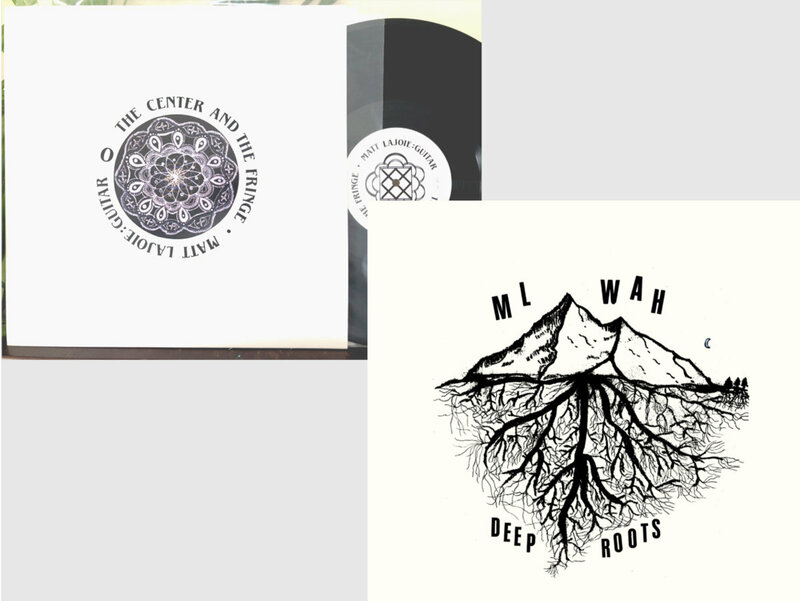 Subscribe now to receive all the new music Flower Room creates, including this release and 7 back-catalog releases, delivered instantly to you via the Bandcamp app for iOS and Android. You’ll also get access to subscriber-only exclusives. Learn more. 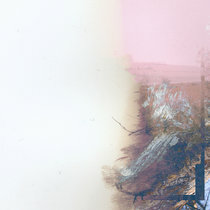 Following up four cassette sides of minimalist longform durational meditations for limited instrumentation (trumpet and trombone on "Big Air"; bowed 10-string guitar and voice on "The Divine Interval") the vinyl debut of Matt LaJoie's devotionally minded solo alias ML Wah enters the multi-tracked "full band improvising live" sound that was once a signature approach for the multi-instrumentalist. 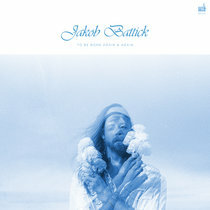 But as last fall's self-split with Herbcraft released on Crash Symbols ("No Slack") hinted, where once he sipped inspiration from the stream of the Planet Earth Rock & Roll Orchestra, LaJoie's direction with ML Wah (and more than ever on Deep Roots) is drawn closer to the cosmic-within as explored by the boundaryless spiritual jazz of ensembles like Don Cherry's Organic Music Society, the ever-expanding sacred drone of the Theatre of Eternal Music, and the naturally psychedelic roots reggae of Ras Michael's Dadawah and Sons & Daughters of Negus. 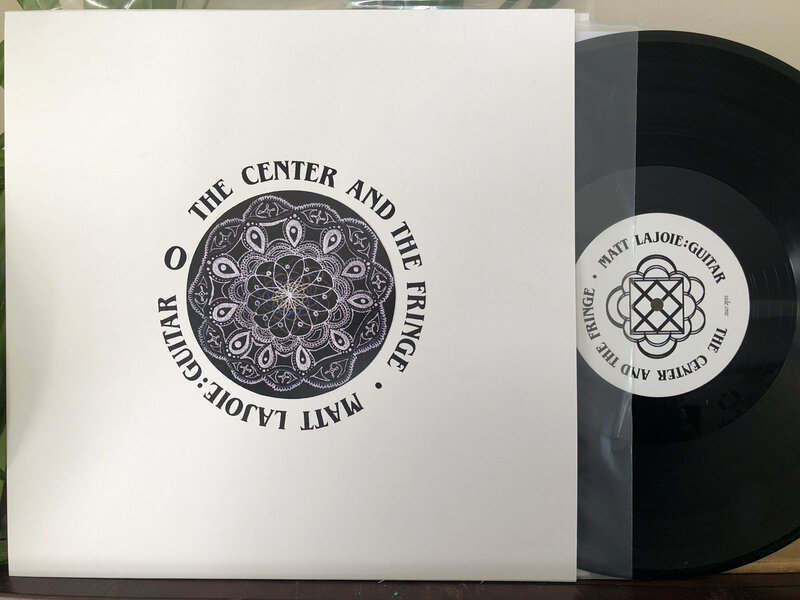 For a musician known primarily as a guitarist (as on January's "The Center and The Fringe" solo guitar LP), here the focus on rhythm, breath, movement, and trance is birthed from a fresh palette of instrumentation. 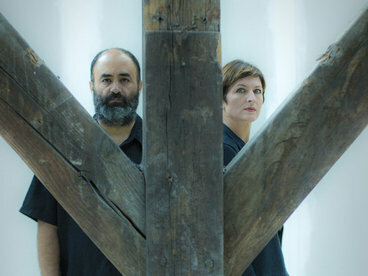 Dense with hand percussion textures, double basslines, melodica, trumpet, and tack piano, the largely-instrumental collection invites the listener on a caravan course of abstracted inner-and-outer geography. 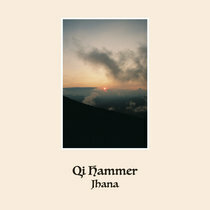 LaJoie's approach--building up each track via layered first-take improvisations on a variety of instruments--lends the recordings an atmosphere of "live in the room" jams amongst a freewheeling collective, resulting in one of the most unique offerings in his vast discography. 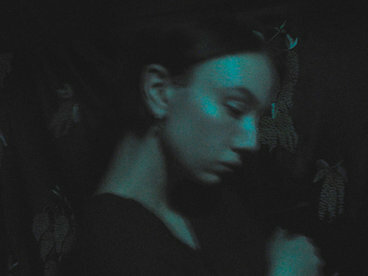 Even as this "automatic composition" method is familiar to any who has bent an ear in Flower Room's direction over the past couple years, Deep Roots discovers a higher harmony with the Self as creator in the ever-unfolding Now: an invitation to open to an experience of ultimate reality beyond time and space. 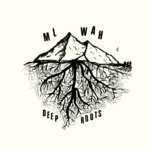 All songs composed, improvised, performed, and recorded by ML Wah, July 2017 - March 2019 at Mt. Misery (NH) and Green Lodge (ME). Mixed and mastered at Green Lodge 2018-2019 by Matt LaJoie. 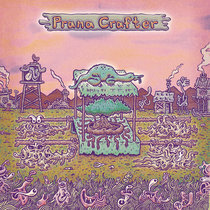 Cover illustration by Ash Brooks. Lettering & layout by Matt LaJoie. 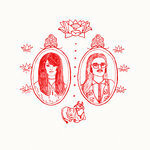 In dedication to Dave Noyes and all the seekers, seers, sages, and guides that inspired this recording.